Are you intrigued? 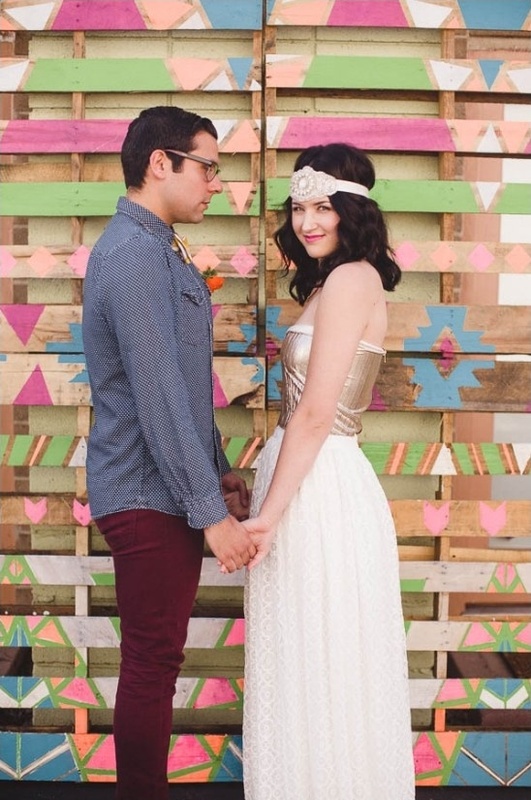 So are we, let's see what this crafty couple put together! 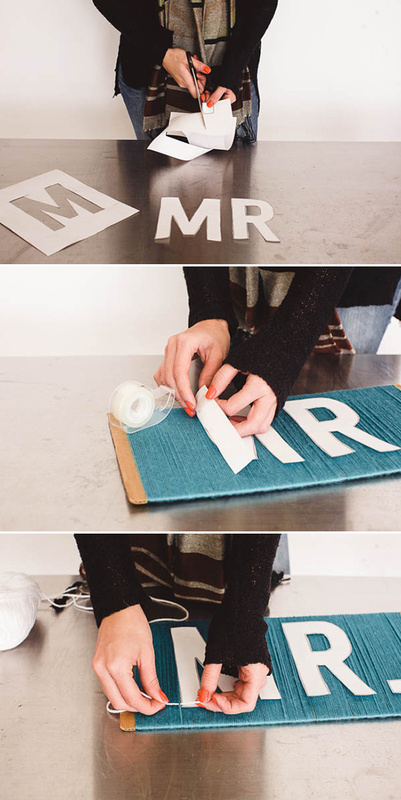 Bonus, stay tuned for a fantastic DIY that will show you just how they made their cute Mr and Mrs and dessert table sign! 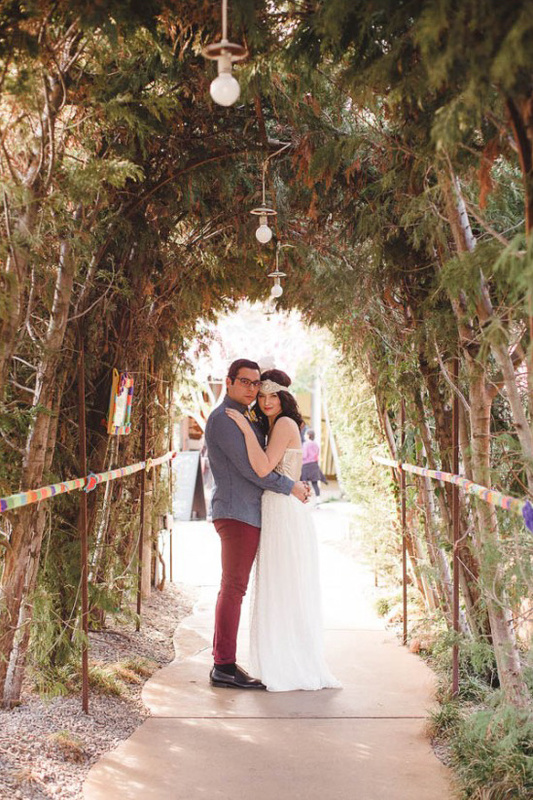 And don't forget to look inside the full gallery too, there are lots more details captured by Mark Brooke Photography and Mathieu Photo just waiting for you in there! From Your Cloud Parade:20 years ago this wouldn't not have been done, but things have changed for the current bride. 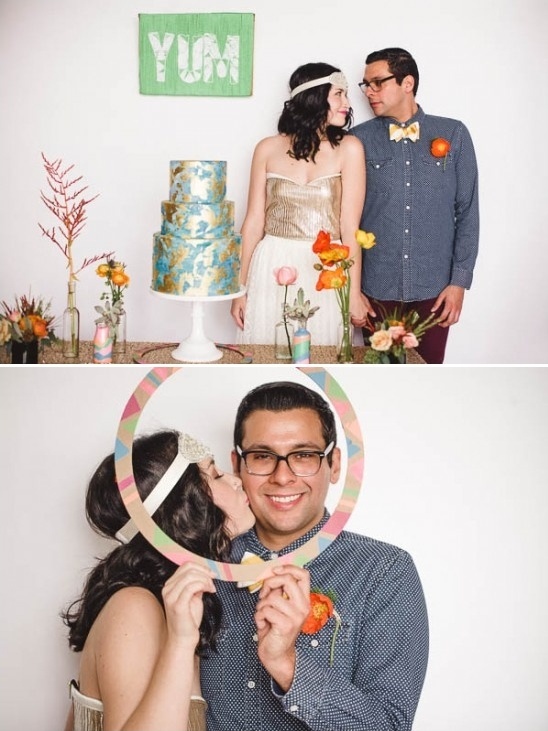 Having your wedding in 2014 or 2015 gives you the freedom to be creative, show your personalities, and get crafty. 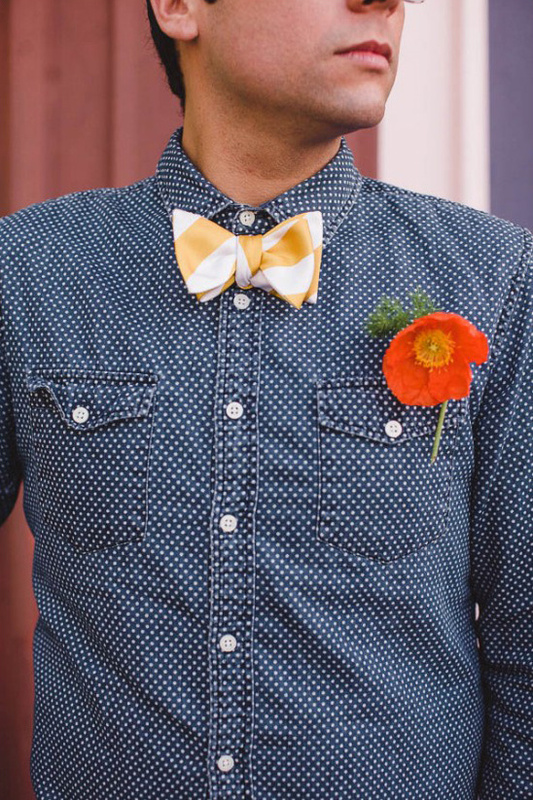 So be bold and don't feel like you have to purchase every element. 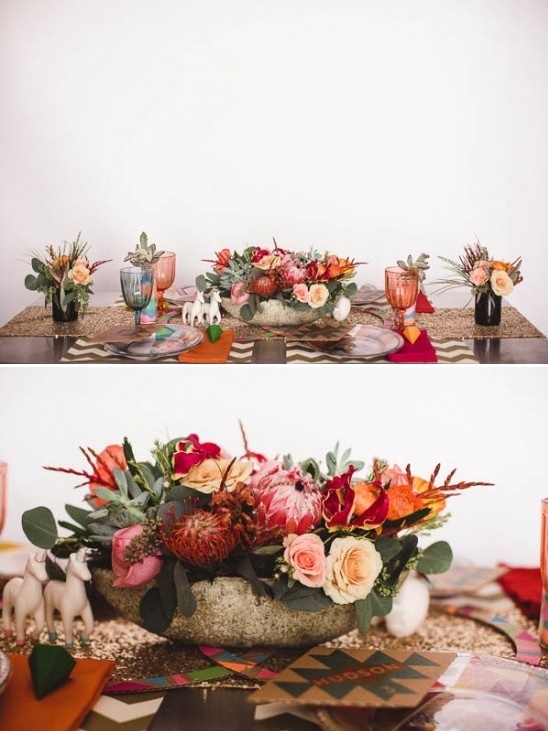 Marc and Lissie's flowers where designed by Art with Nature who took the traditional "mixing of sands" and added that to the jars to push the color palates brighter. 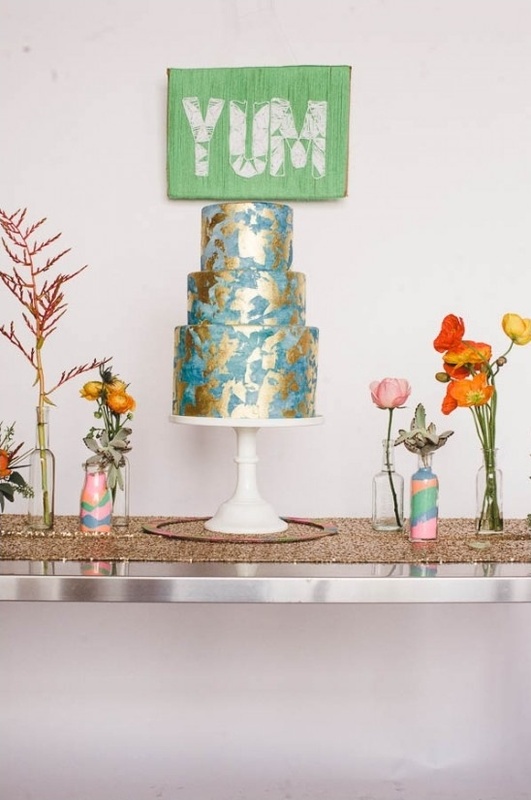 Their Cake was the final touch to tie in the entire wedding theme. 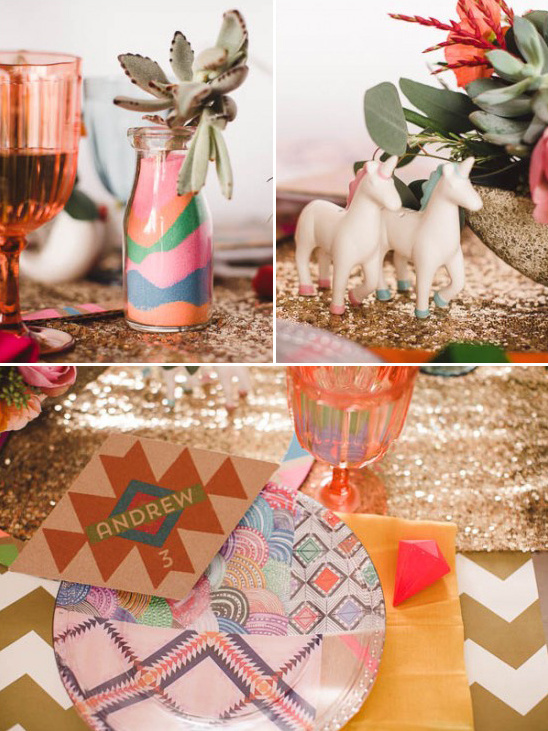 Sweet and Saucy did an excellent job of picking a color that would "pop" when guests entered the room. 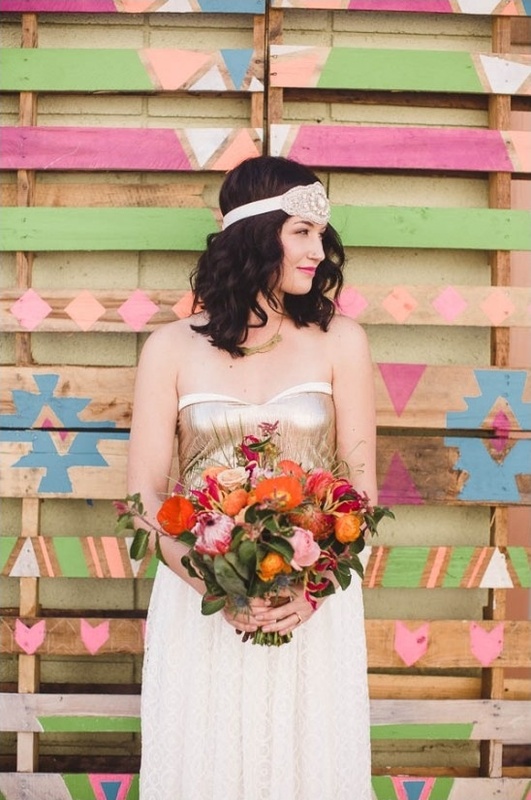 Most of the small decor elements and attire, like the wedding dress, head pieces, and jewelry was purchased on the Your Cloud Parade wedding Marketplace where they can browse the site by "colors, styles, or themes." 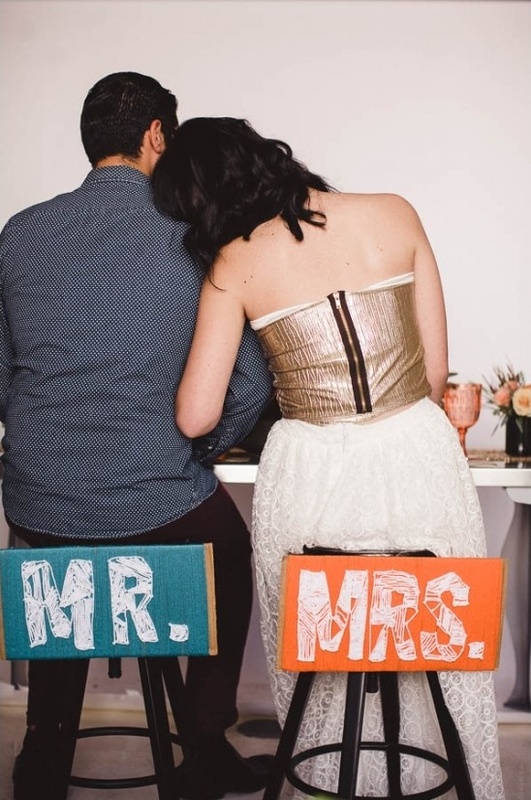 Aren't these Mr. and Mrs. seat signs adorable?! Are you ready for some great news? 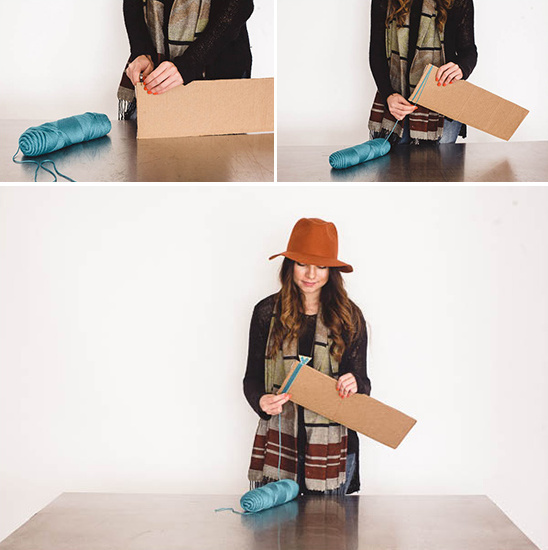 We are about to show you just how to make them, and what's even better, they consist mainly of yarn and recycled cardboard! Hot Dang, you can afford that! So keep on scrolling WC fans to learn more! 3. 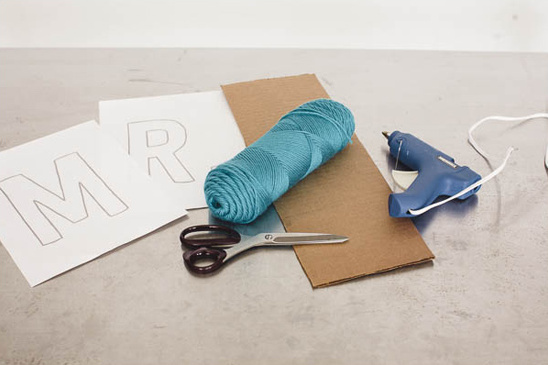 Using the yarn color you want for the letters, tie the end to the background yarn near the corners of one of your letters. 4. 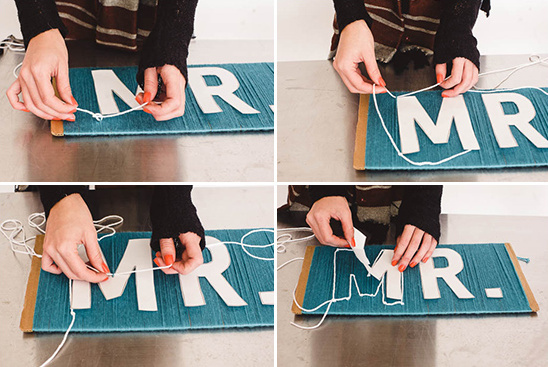 Outline each letter individually with this yarn by tying it down at each corner or each letter. 6. 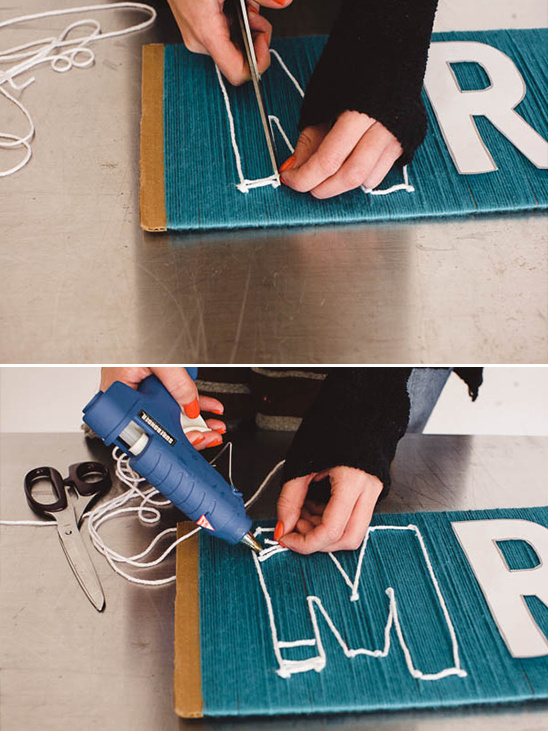 Fill in letter outlines with small pieces of cut yarn and hot gluing them to your sign. 7. 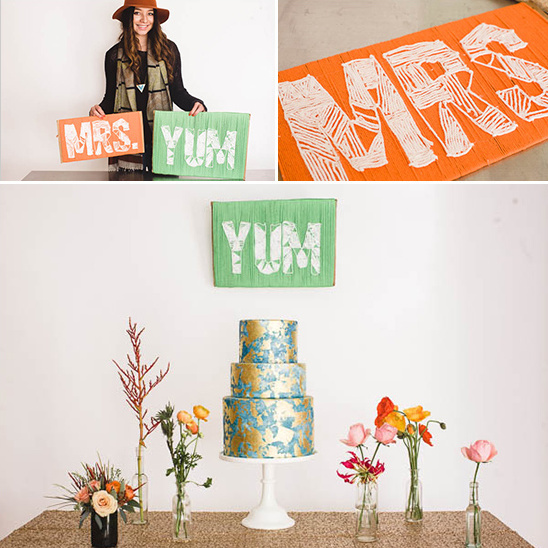 Hang and admire your recycled creations!